Are you ready to kick off the tour? You will certainly not be disappointed by this book. 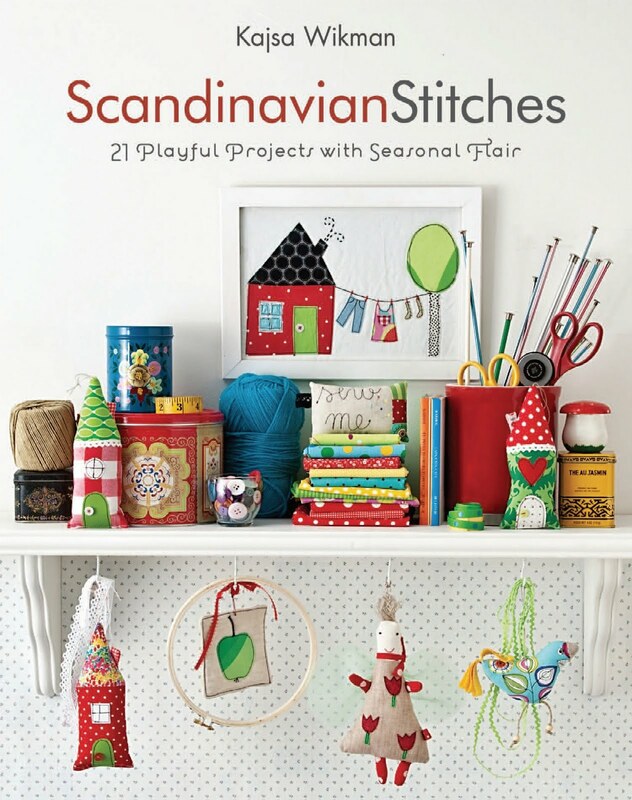 Scandinavian Stitches, published by Stash Books is by the incredibly talented Kajsa Wikman. You have probably seen her in Flickr under the name syko or are a frequent follower of her website. 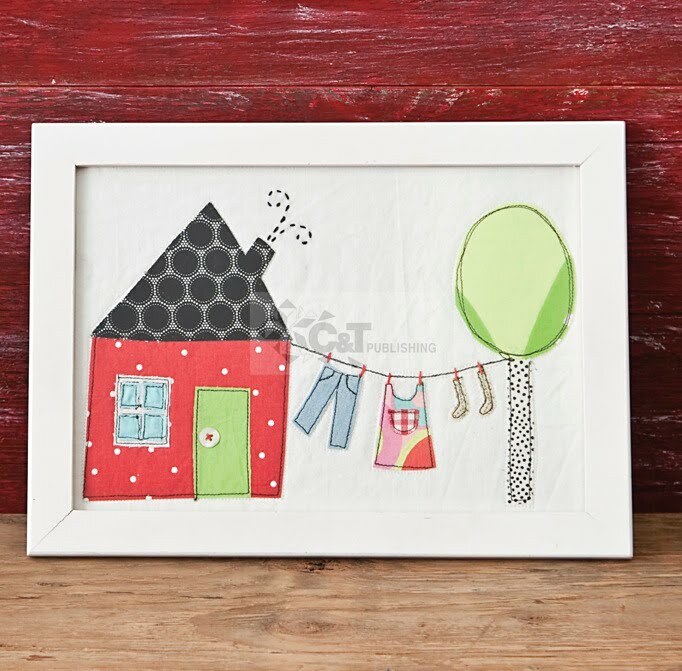 Kajsa lives in Finland with her family and adds a touch of Scandinavian to all that she makes. 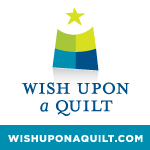 The book is beautifully laid out and includes 21 projects for quilts, softies, pillows and ornaments. You will want to make every project and will spend a long time ohhing and ahhing over the beautiful photos. Kajsa describes her mission as being to make you smile. And she certainly succeeds! Each of Kajsa’s works is an interpretation of a scene. She is inspired by what is happening around her as much as by shapes and colours. The descriptions of each of her projects tell the story of the scene that led Kajsa to create that piece. This for me was one of the most important things that I learnt from Kajsa’s book. 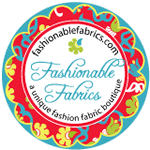 I too often become bogged down with looking at shapes and patterns and colour combinations that I forget that fabulous projects can be made by taking a snippet of your life and interpreting it in fabric. Stash books is also offering one of you the opportunity to win a copy of the book. 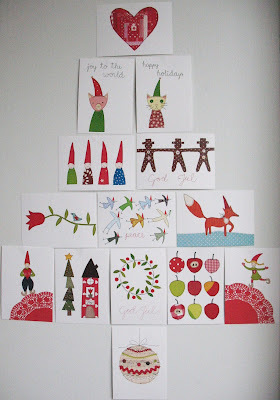 (details at the end of the post) And Kajsa is including a set of 14 of Syko's Yule Cards! But first I caught up with Kajsa to learn a little about her and her book. What does Syko mean / represent? Syko is short for Sykompaniet, which means the Sewing company in Swedish, my language. I also thought it was quite a Syko idea to change careers to start a craft business :) I haven't regretted my decision a single time though! No, I studied Ethnology at the university and after my MA degree continued to do research on historical re enactments, but after getting children I realised I was more into practice than theory. The book is based on the changing seasons in Finland and how it influences your crafty projects. What is your favourite season? The beginning of Autumn when school begins after the holidays has always inspired me and felt more like a new beginning than the start of a new year. I love the soft, warm air, the change of colours and the rainy days when you can cuddle in with knitted socks and a quilt. But I always feel inspired whenever seasons change! What is your favourite project in the book? I think that must be the Frosty baby quilt! I had seen a few quilts made of solid coloured fabrics had been wanting to give it a try and was so happy when this idea popped up! "It's January, and it's freezing outside. I look out of the window over my desk and see a colour combination that I would never have thought of. The icy weather and the long shadows make the snow turn light blue beside the spruces. A quilt is born! The fox is just my imagination!" 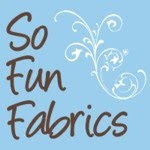 You advocate using all types of fabric in your work. From designer to old vintage bed clothes. 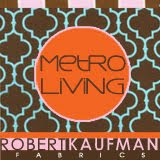 Do you have any tips for people buying vintage fabric? Where to look? What to look out for? Open your mind! Treasures can be hiding anywhere, start with your own closet! Buy quality e.g. natural fibres. Fresh air can do wonders with evil smells, hang out your flea market finds in the fresh air if you can! Teapots and tea feature often in your books. Are you an avid tea drinker? What is your favourite type of tea? I just love the idea of having tea! In real life most Finns are heavy coffee drinkers. I usually wake up before the rest of the family and have my cup of tea in peace and quite before the school run begins. There is a special kind of sentenced black tea, called the Emperor's bride from a Finnish family company that is my favourite morning tea. I also love rooibos in the evenings and tend to buy clipper tea because of the sweet packaging. Difficult question... I love colour! Colours inspire me very much and trying out different colour combinations is one the most inspiring parts of my work. But my strong opinion is that there can never be enough lime green(s) in the world. Describe the process of writing a book. What did you enjoy most? Did anything make you think never again? I will never write a book during Summer holidays again, especially if we are moving, that's for sure! The process was a bit stressful because I had never done it before and I everything was new to me. Retrospectively it feels quite silly when I've ended up with this lovely book in my hands! The best thing was when I saw the first sample pages of the book, until then I didn't really believe that there was actually going to be a book. It feels very special to see your work in print. How do you involve your children in your work? Sometimes my children help me to come up with new ideas, like the little bird quilt that I've featured in the book. If I'm not sure about a detail or fabric choice I ask my daughter, she has a very good eye and dares to share her frank opinion! What is next for Kajsa? 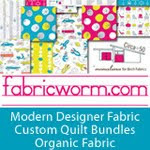 You recently printed some fabrics on spoonflower. 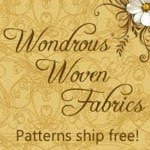 Can we hope to see a Syko fabric collection soon? So now to the giveaway!!! Leave us a comment on our blog to enter the drawing. You can get an extra entry if you are a follower of Kajsa's blog or if you follow our blog! The giveaway will close on Friday 19th November. Follow the tour around blogland to find out more about Kajsa and her book. I'm reading: Scandinavian Stitches by Kajsa WikmanTweet this! Love those projects! Thanks for the interestin g interview! Would love to win a copy! Oh this book looks gorgeous and full of yummy inspiration. Thanks for introducing us to this talented lady. Hi. The book sounds great! Would love to have a chance to win a copy. I follow Kajsa's blog in google reader. I've been waiting for this book tour! Just put the book on order at the library (along with half of Auckland probably) but would be miles better to have my own copy! Thanks for the interview and chance to win. And I'm a follower of your blog already! I love Kajsa's work! It's so whimsical and sweet. Thanks for the great interview, and the chance to win this awesome book. I would be so happy to win this book, thanks for the chance. I am a follower of Kajsa's blog. I can't wait to get a copy of this book. It's been in my amazon favourites for weeks now. Great interview! Thanks for the giveaway! The book looks so inspiring. I already have the book, I got it on pre-order, I LOVE it and would love to give one to my good friend as i know she would love it too. I also follow Kajsa's blog. Kajsa definitely makes me smile. What a charming and talented lady. I would love to own a copy of her book. I subscribe to Kajsa's blog and am happy to meet you too. I'm enjoying all the wintry inspiration in this post as we head closer and closer to summer and a hot Christmas. I'd rather be cuddling up in warm socks and a quilt than wondering how to keep cool! hoi ! i'm a follower of kajsa and i would like to enter the give away ! I put a link on my blog too. What a cute book! And that quilt is so perfect! This book looks wonderful! Please count me in, thanks! i'm a new follower of Kajsa Wikman blog. I'm a follower of both blogs! I´m a follower of Kajsa´s blog, I love her style! It looks like a nice book! Both blogs are in my favourite list. And I would love to win the book. Syko makes so much beautiful things! 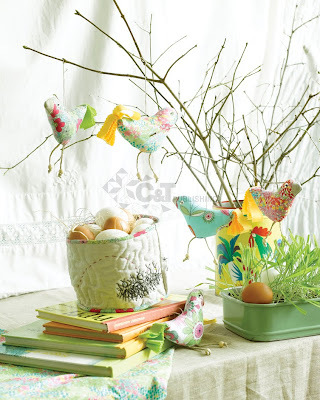 these projects are so darling! Please enter me in the drawing!! Thanks for the chance to win! Count me in! The book looks great. Thanks so much for including a close-up of that sweet little fox. 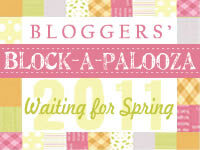 Look forward to your blog and inspiration for my next projects !!! I am a follower of Fat Quaterly. Thanks. This book is for sure the most interesting book published this year! Simple, but gorgeous project - I love it! This book is gorgeous! I have flicked through this book and I would love to win! Thanks for the opportunity! I'd love a copy of this book! I have this book on my wish list! Thanks for the great interview. I'm a follower of both blogs. Hei - I love the book and have been waiting for the tour! thanks for the giveaway. Love Kajsa's designs! I already follow Kajsa's blog. I've been following her work for a long time now, through Flickr and it's a pleasure to see how it grew and developed into this beautiful book. The book looks lovely! I have been waiting for it to come out! I subscribe to Kajsa's blog, as well. The books looks great! I'm looking for more projects to make to decorate out new house... I bet I could find some in there! Thanks FQ for the giveaway! Thank you for the opportunity at a lovely giveaway for such a great book. It was fun to read Kajsa's interview, as well. I will enjoy following the blog tour and learning more about her, how she wrote the book and how she was inspired to create different projects. 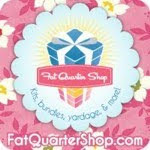 I follow the FQ blog! Wow! Thanks for featuring this fantastic book...I have completed a couple of her projects. Thanks also for the giveaway! 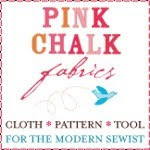 I am a follower of FQ and of Kajsa's blog! This looks like a great addition and I would love to win it. Beautiful and inspiring book, I'd love to enter please. The book looks just beautiful. If I don't win, it's definitely going on my Christmas wish list! 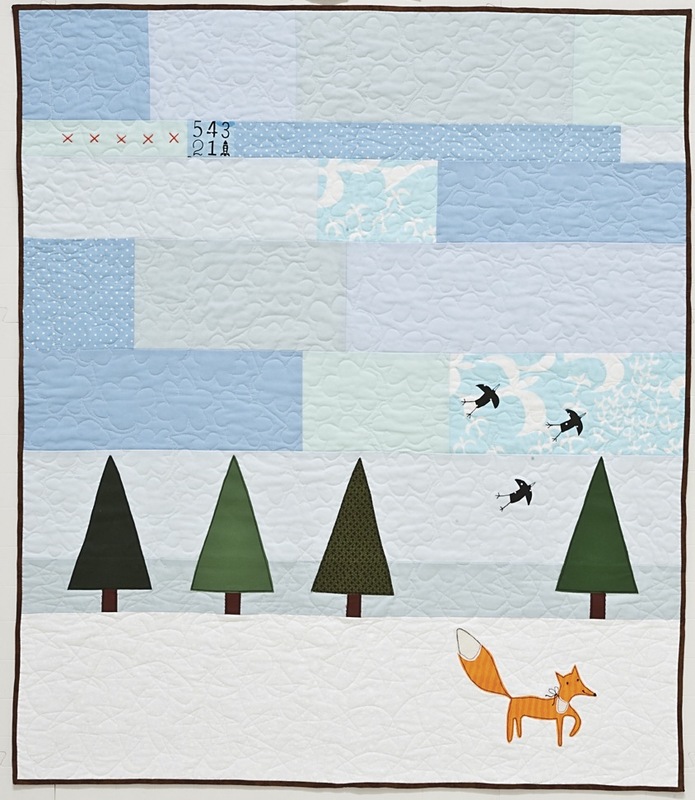 that fox quilt is gorgeous!! I am a follower of y'alls blog! 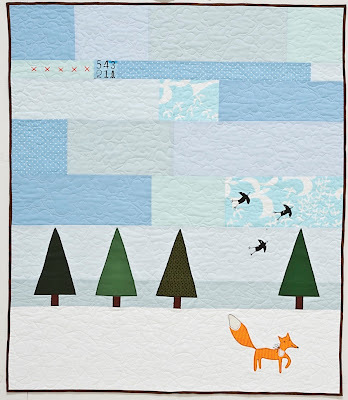 Oh my goodness - that fox quilt! So adorable! Thanks for the chance at the giveaway! Kajsa's work and designs are beautiful. Love the fox! This book looks so beautiful - thanks for the great review! The projects in this book look like so much fun. Thanks for the chance to win. This looks like a truly unique book. I am a follower of Syko. oooh another book to add to my "have to hvae" list! I am a follower of Kajsa's blog too! Oh, this book looks so great! I would love to win a copy! Thank you for the beginning of what looks to be an awesome book tour! How many current projects on blogs have drawn inspiration from this woman? (I've seen tons!) She's amazing! I am a follower of Syko's blog--I always wondered if that name was indicative of something in her native tongue--now I know! love her work and would LOVE the book! Love the book - looks great :) Thanks for the chance!! I am very intrigued by this book and think I may have to have it. I love that baby quilt with the fox! I think I'd love to make that! I already follow your blog! Thanks! What a lovely book! Thanks for the giveaway! such a nive book ! I'd love to win it ! What an awesome book!! 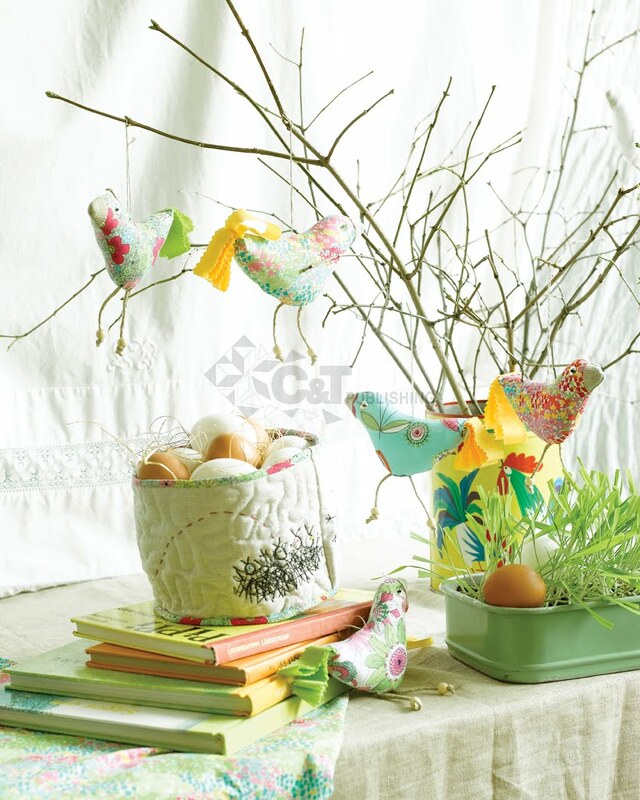 Love all the whimsy packed in there!! I love this book! Especially all the projects inspired by nature. My son and I were looking at the Syko blog together and perusing the book and he asked me to make him 4 things he saw! This book looks great. ich verfolge Kaysas Projekte in facebook und freue mich immer von ihr zu lesen. Danke für die Inspirationen. had this on my wish list for a few weeks now, look like so many cute things you can do, great book. The book looks good - I'd love to win a copy! Wow that book looks wonderful. Sweet ideas. I can just imagine telling stories about the little fox to grandchildren someday. What fun! What a lovely book! I'd love the chance to win it. 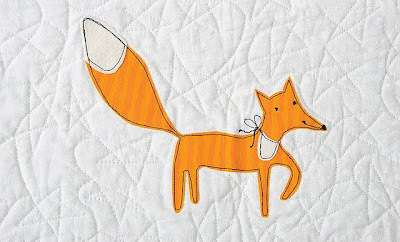 The baby quilt with the little fox is just so sweet! would love to win the book - lots a great projects. I would love to win this book. Kajsa's work is lovely. I follow the Syko blog as Lavender Ave.
Love this book, would love to win it. How cute. I follow your blog. This book is on my Amazon wish list! I LOVE all things Scandinavian. Thanks for the chance! 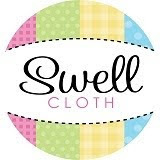 And now I am following Kajsa's blog! I would love to win this great looking book...thanks for sharing! I am a follower of FQ's blog. Thanks for the great interview. I think this book looks beautiful. It's been on my xmas wish list for quite awhile! And I already follow Fat Quarterly on my Google Reader. I follow your blog on Google reader and I get it via emails too. LOVE IT! This book is darling! I'm definitely going to have to get it. Yes, I'm a follower, too! Wow, that book looks fantastic. Full of colourful inspiration! I'd love to get myhands on it. This looks like such a cute book! I can't wait to see more of it. I've just become a follower. What an interesting blog! I like that there are so many different types of projects in this book. Thanks for the chance to win! I follow the FQ blog. I'm a follower! P.S. So cute the fox! Great giveaway, I would love to win a copy of this book, it is in my shopping cart right now at Amazon.com! Love her projects, she inspires me! I cannot wait to get my hands on this book - she is just so creative! And I follow your blog and hers! This book looks gorgeous! Thank you for the chance! Oh, this book looks so wonderful! I especially love the skinny tomte in the book. I subscribe to the Fat Quarterly blog. This book really looks like FUN. I follow the FQly blog. I follow the Syko blog on my Google Reader. Thank you for the chance to win a copy of this very inspiring book! I follow Kajsa's blog and fat quarterly blog in my reader account. So neat! Thanks for the opportunity!! 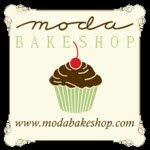 I subscribe to this blog! This looks like a book I definitely must have and I LOVE that adorable little fox. I also think the quilt shown in this post is amazing. Super cute. this book looks beautiful! I love the international influence we are seeing more of! Looks to be a very cute book! I'm already a FQ follower! ...and also a follower on Kasja's blog. I flipped through this book and wanted to buy it! I'd love to win it! Beautiful book. Thanks for the chance. she makes such amazing things! what a lovely book! I would love to win - I have a Scandinavian background and love the designs! Love the quilt! Thanks for the chance to win! LOVE this book, way to go Kajsa!!! OHHHHHHH my fingers are crossed - my friend has this delicious book and I've borrowed it, but I would surely love my own copy! We're making Tomte dolls together, as Christmas gifts! and love following FQ, too! More for Me Monday with Paula Ozier! Giveaway winners - Echino from Eternal Maker! 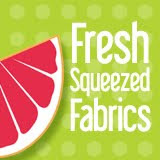 Issue 3 - Fussy Cutting on sale now!